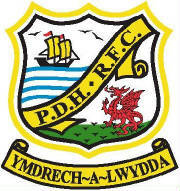 Welcome to the website that will provide you with all of the information you need to know about the Pembroke Dock Harlequins Youth rugby team including player profiles, the history of the club and match reports. The website will also provide you with the latest news from the club ranging from kick off times to the Basildon tour. Quins failed to close out a close game against Tenby at the Bierspool field despite taking the lead with a first half try from Chris Holt. Two tries and a penalty ensured the visitors came out on top 13-5.